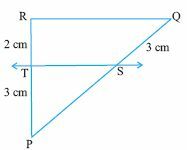 Q 1: In the figure, is PQ ll EF. State yes or no. 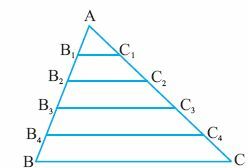 Q 2: In the figure, are the lines EF, AB and CD parallel to each other. State yes or no. 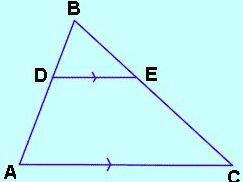 Q 8: In triangle ABC, D and E are the points on AB and AC. BD = 30, DA = x, BF = y, EC = 15, AC = 22. Find AD.